Address: G/F-2/F, Hong Kong House, 17-19 Wellington St. 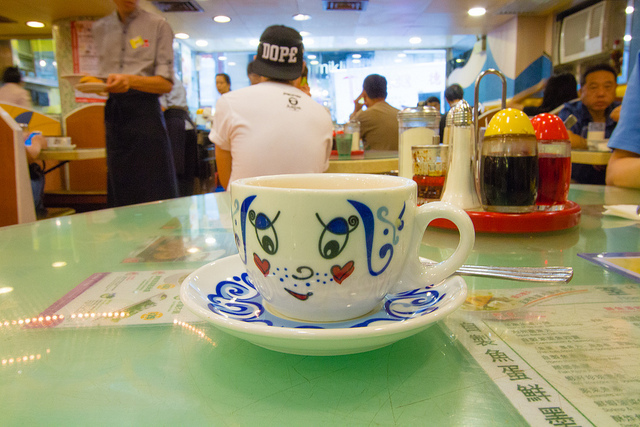 I started my day with breakfast in Central at Tsui Wah Restaurant, a cha chaan teng chain. 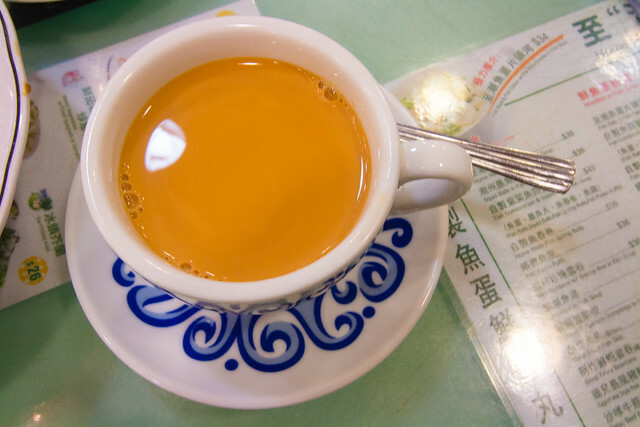 Cha chaan tengs are a way of life in Hong Kong; food is affordable and service is quick even though it’s unhealthy. 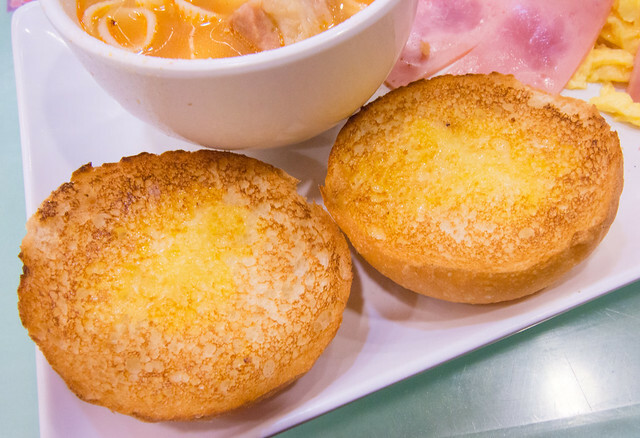 Tsui Wah started in Mong Kok in 1967 and have expanded all over Hong Kong since then. 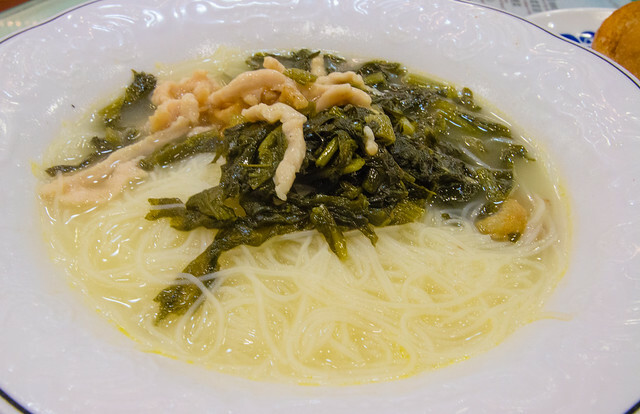 My friend had the shredded pork & preserved vegetable w/ vermicelli in soup breakfast set. 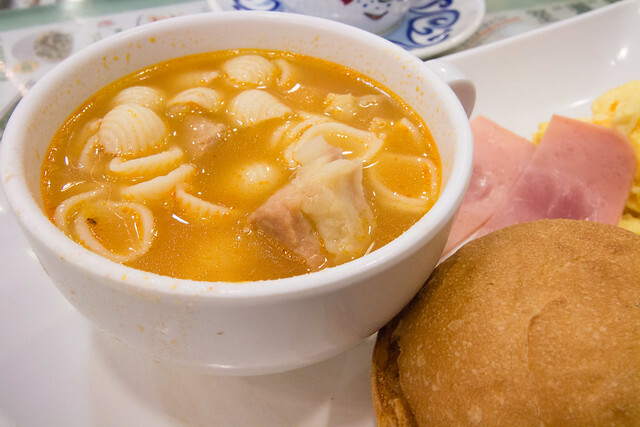 I had a tomato soup with ham and eggs. 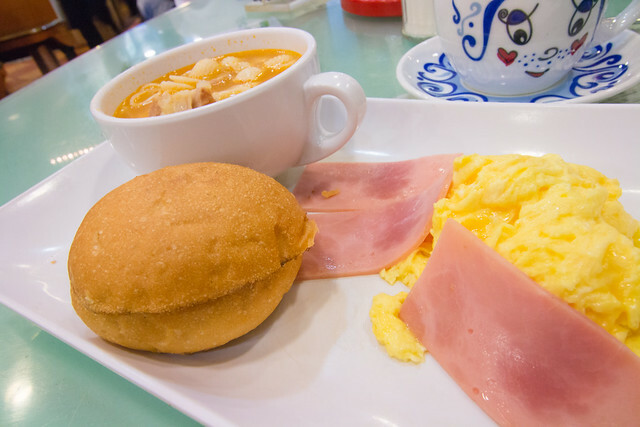 The breakfast sets came with coffee or milk tea, and crispy bun with butter for $24-26 HKD. 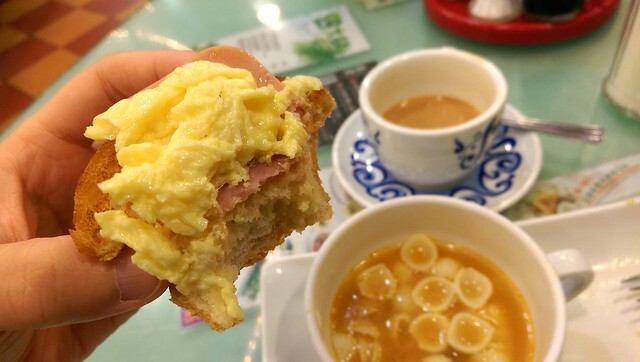 I ate the crispy buns with ham and egg on top! Reblogged this on logatfer's travelog.